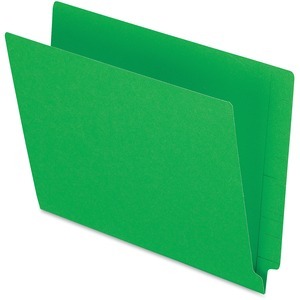 These folders feature two-ply tabs with scored lines for easy label placement. Reinforced straight-cut tabs are ideal for open-shelf filing systems. Folders also offer 3/4" expansion gussets, 11 point stock and 9" front covers.